Newnan CPR provides quality American Heart Assn. BLS, ACLS, CPR, AED, and First Aid Training in the South Atlanta area. Whether you are a paramedic, medical professional, dental office, fitness center, warehouse, or you simply desire CPR training for your family, we can meet your training and AED needs. We always issue either American Heart Association (AHA) or American Safety & Health Institute (ASHI) certification cards at the end of each training class. All Newnan CPR instructors are current and as a result we teach the new, 2016-2017 American Heart Association ECC guidelines for BLS, ACLS, CPR, and First Aid. All courses offer same-day (or end-of-course) certification cards! For healthcare providers/students, we solely teach official AHA Basic Life Support (BLS) for Healthcare Providers (new (March 2016 version). (We could teach Red Cross BLS or ASHI BLS courses, but most nursing schools, hospitals, employers, and dental network in GA won’t accept either of those). As a result, please take ONLY an AHA BLS for Healthcare Providers course. Therefore, please don’t waste $89 on a Red Cross or other non-AHA BLS course that won’t be accepted by your school or employer. We teach 8-9 times per month the new 2016 version of official American Heart Association BLS for Healthcare Providers , always with “Same-Day certification”, or “end-of-course BLS certification card”! The AHA BLS course has scenario options for paramedics, EMS professionals, and also firefighters (those generally dealing with cardiac emergencies in the lay responder and Pre-Hospital setting). Always “end-of-class” AHA certification cards. The old 2014 AHA BLS for Prehospital Providers course has been merged into the new 2016 BLS for Healthcare Providers course. Here’s Newnan CPR BLS Schedule. For churches, families, and most workplaces, the course we generally suggest is ASHI CPR or First Aid/CPR/AED (American Safety & Health Institute), or AHA Heartsaver CPR/AED / AHA Heartsaver First Aid/CPR/AED course. All courses are new 2016 ECC protocol. The Amer. Red Cross Lay Responder CPR/and First Aid courses are excellent, also. All of those courses are 2-year certification courses. Newnan CPR link to schedule. (All “public classes” are either AHA BLS for Healthcare Providers, or ASHI/AHA lay responder CPR & First Aid courses). Most Newnan CPR clients are businesses, fitness centers, dental offices, hospitals and medical clinics that desire training in their location. Contact us and we’ll gladly provide a quote, or similarly, complete onsite training request. We’ll bring all of the equipment and supplies to you, and we’ll promise to deliver quality CPR training to your team anywhere in the Atlanta area. Also, at least 10-12 times per month, we rent conference rooms, libraries, and college classrooms to provide “open to the public” classes. These classes you can also find on our Schedule (from menu bar). Newnan CPR, your A+ BBB-accredited source of life-saving CPR training! Every month, we teach 8-10 courses in Newnan, Sharpsburg, Fayetteville, Atlanta, Carrollton, Auburn-Opelika, Jonesboro, Riverdale, Decatur, and Villa Rica. Every other month we teach in Riverdale, Peachtree City, Douglasville, Union City, and Senoia. Please check the Newnan CPR current schedule for classes in your area. Here’s our Course Schedule, to find an American Heart Association or ASHI course taught by Newnan CPR. All courses always offer same day certification cards. Or, click here simply to Register for a Newnan CPR AHA course. Questions? – please call us (678) 796-8277, or email us. We give back! First of all, in February, for the last 5 years, we’ve taught American Heart Association Free Family & Friends CPR Training throughout the area. Non-certification training. More info on why, on our Bystander CPR page, along with our Newnan CPR 2018 Free CPR courses. Also for the last 4 years, our most interesting and different course, was Halloween CPR! Yes, it was a regular, official, American Heart Assn. (AHA) BLS for Healthcare CPR course, but $10 off for students wearing a Halloween outfit. In 2017, we had “Halloween BLS” on both Fri. Oct. 28 and Mon. Oct. 31. In 2014 and 2015, we also did Free, Sidewalk CPR -Halloween-style on the same day. Most of all, the students had fun – therefore, we’re planning again for Oct. 2018. For 108 years now, the Better Business Bureau has been helping consumers find trustworthy businesses. Hence, we are especially proud that Newnan CPR has an A+ BBB rating! We’re also the only BBB-accredited CPR/First Aid Training Provider of American Heart Association courses in our geographic service area! If you have a church group or community organization that desires free Hands-Only CPR familiarization, please let us know and we’ll provide that to the community. (This is not free CPR certification training, just knowledge and limited skill practice in Hands-Only CPR or Compressions-only CPR). Most of all, you can save a loved one’s life with this knowledge and skill! Are you a Coweta-county business or organization considering purchasing an AED? Then, Newnan CPR offers free AED equipment demos, also free AED training for your staff. Newnan CPR also does “Sidewalk CPR“, which means we just setup a small table with a manikin on a public sidewalk or in a shopping center (yes, with permission) to show people Hands-Only CPR. That’s also a free service for the community – please Contact Us (from Menu bar) if we can perform that service on your sidewalk or shopping center. (OK, you might sense some frustration – we’ve asked at over 25 places, and have approval at 4). All of our public classes (the classes listed on our schedule, are either official American Heart Association BLS or Heartsaver courses, or ASHI lay responder/workplace training. We can also teach American Red Cross courses if your business deisres on-site ARC training. Whether in your home, or at a local business, Newnan CPR can provide the training you need, with AHA certification card at the end of your training class! 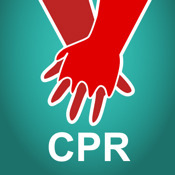 Link to Newnan CPR class schedule. Newnan CPR is a proud member of Newnan – Coweta Chamber of Commerce, an excellent, award-winning group working to help small businesses in our communities. www.thumbtack.com is a neat resource, for finding service providers. Therefore, we use Thumbtack.com to tell folks about the services we provide. Our customers use Thumbtack to find all types of training, and many other service providers. Examples are pest control, tutors, locksmiths, lawn care, pet sitters, web designers, painters, photographers, etc. (Oh, and I guess CPR certification classes, also!) Any type of service providers can be located on Thumbtack, and it’s FREE to the customer. Hence, Newnan CPR is happy to use Thumbtack to give people a way to find us, or to locate other service providers they might need.